Together with our colleagues from Hungary, Czech republic and Poland we will present theatre performance in English for students as well as drama teaching workshops for teachers. We are inviting you for two days full of entertainment, new experience and friends. More information on programme, detailed information about guest theatre groups and partners are coming soon. 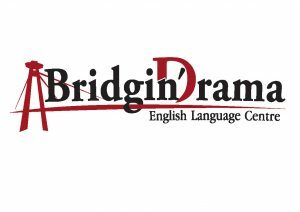 Theatre festival Bridge´n´Drama will take place in Pezinok, 12th -13th September 2015. The project is financed by Visegrad fund and the Bridge.